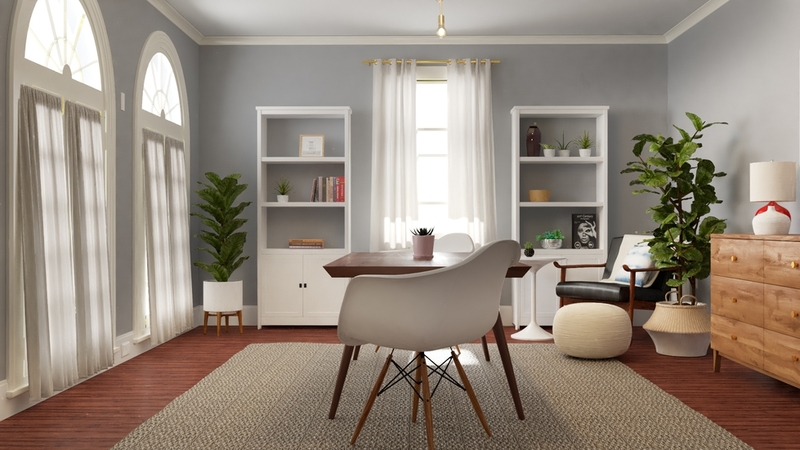 For many of us, the term "home office" is synonymous with the couch (or on occasion, the bed), but these 5 home offices make a strong case for setting aside a separate space for work. With work-home boundaries that have gotten increasingly blurred, one cannot underestimate the impact on motivation, productivity and creativity of having a separate space to go to as needed. We love these 5 examples - they range from the conventional to the unexpected, but all 5 are the very definition of WFH in style. 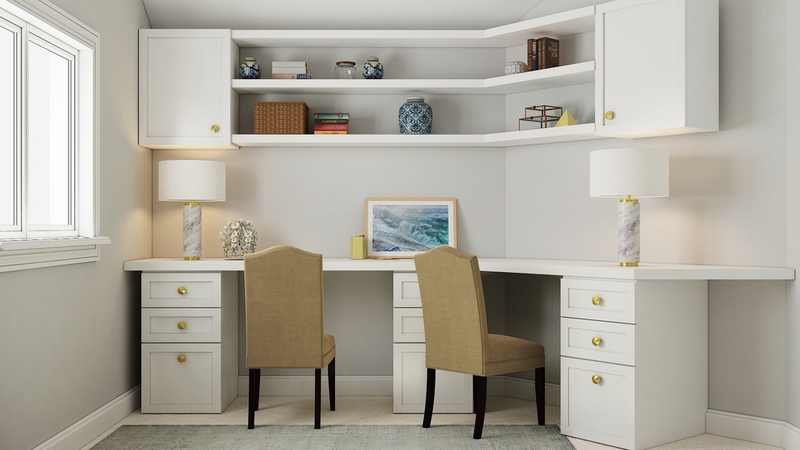 This home office was formerly a separate formal dining room in the house that our clients bought and moved into. Because neither of them worked at home full-time, they didn't want a formal office space. Instead, they wanted multi-functional space that would also work as a reading room and crafts rooms. 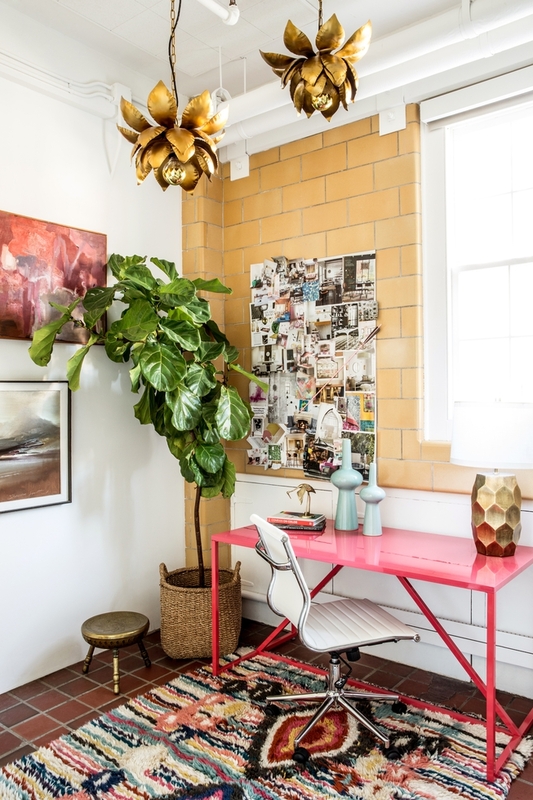 With that, Decorist Classic designer Emily Johnson created a space that didn't include any standard office furniture but has a lot of flexibility: the table is large enough for 2 and doubles as working space for crafts, the armchair creates a reading nook in a corner, and a sideboard hides all the office clutter when not in use. And if you had any lingering doubt that this was not your standard office space, all you need to do is look up at the brass glam-industrial lightbulb fixture. Stylish and multi-functional? Done! Our client for this home office wanted flexibility of a different kind. 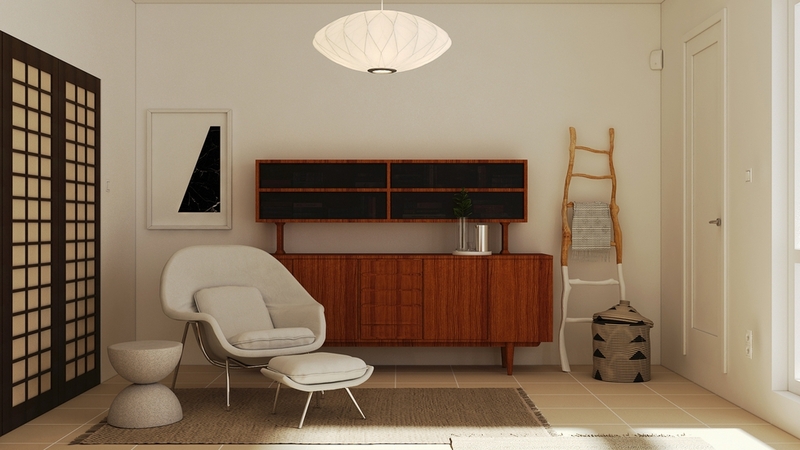 While she worked at home frequently, she wanted a home office that would allow her to work both at a desk and also "in a comfy chair with my laptop and my feet up" (we're with her on this one!). Decorist Classic designer Brooke Slabic mixed Japanese-inspired elements with mid-century modern pieces and delivered a room that is warm, serene and uncluttered. 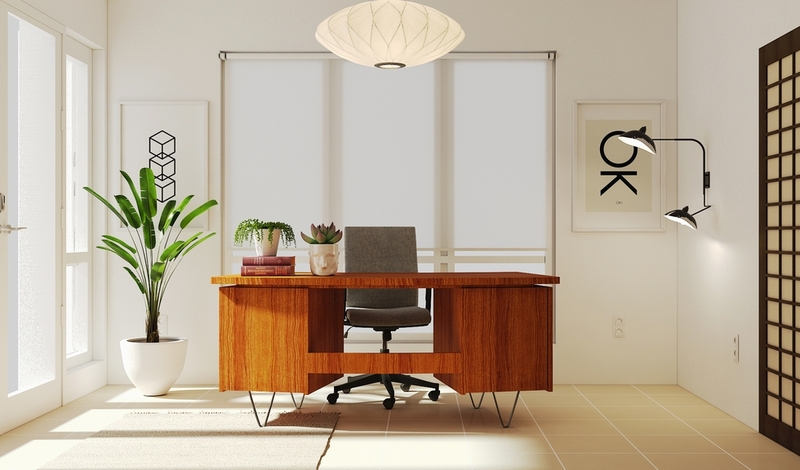 While the expected approach would have been to push the work desk against a wall, Brooke instead positioned it to face the room, to take full advantage of the natural light. On the other side of the room, a stylish and inviting armchair with matching ottoman functions as the second work station that her client requested. When our client started this project, her request was for a home office with 2 separate desks in dark wood and a sleeper sofa. 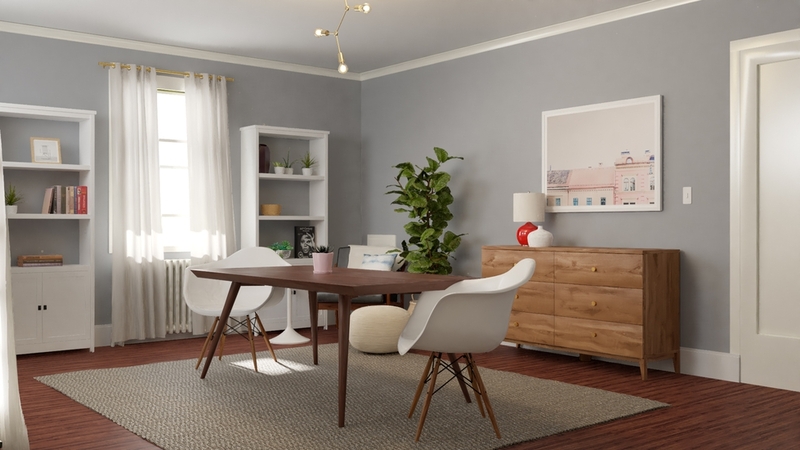 While our designers usually try their best to fulfill client requests, Decorist Classic designer Joanna Staniszewski saw her client's inspiration boards and pointed out that all her inspiration boards included light colored furniture (which her client hadn't noticed). 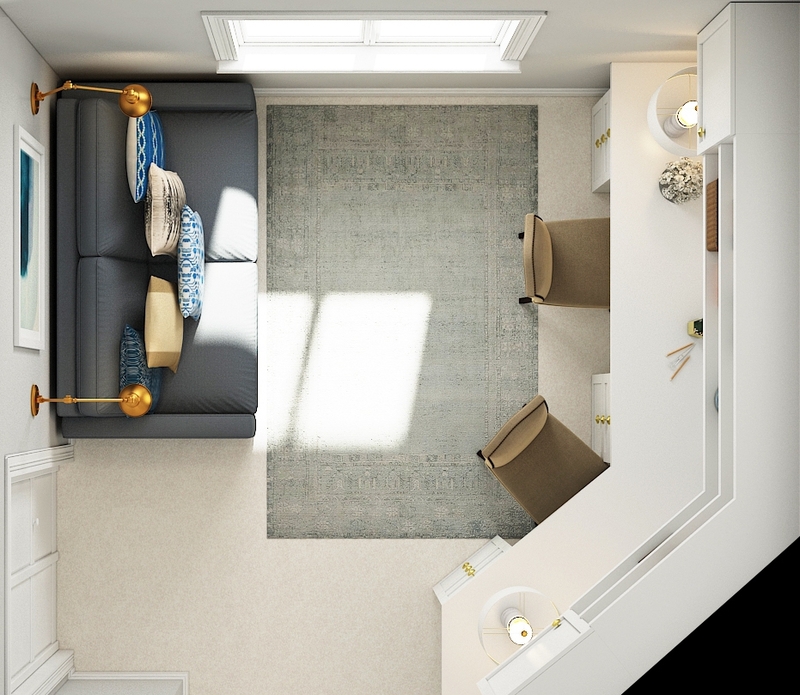 And then when Joanna saw the photos and the layout of the room - which included an awkward angle - she knew that the best use of the space would be to create built-in desks instead of the 2 separate desks her clients had originally wanted. One could say that in the end, Joanna delivered the complete opposite of what her client asked for - and her client absolutely loved the final design. This next space is proof that work spaces don't have to be confined to the standard or the expected, whether in design or in the physical space itself. 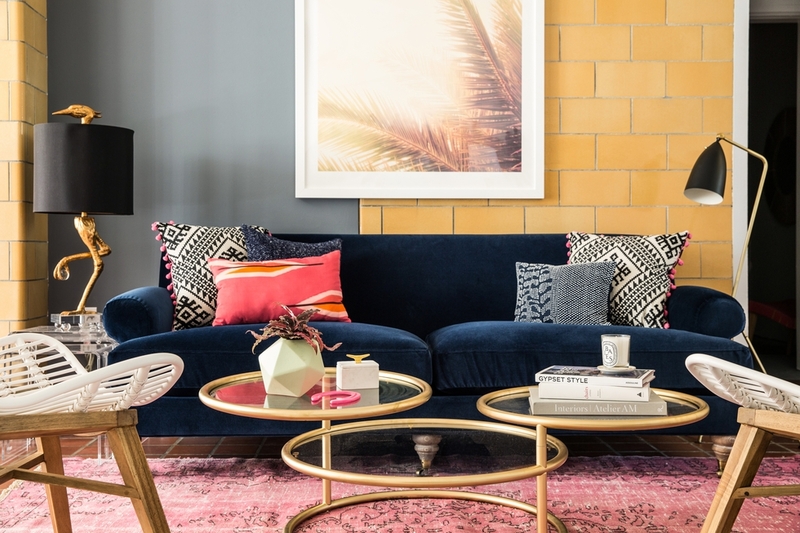 For her client who works in a creative field, Decorist Elite designer Ashley Redmond designed the room according to how her client actually works instead of starting with the standard office and conference room layout. The final design is a colorful, vibrant, whimsical space, with a casual seating area instead of a conference room, and an open desk area that is made for informal presentations around the computer or the inspiration board above the desk. 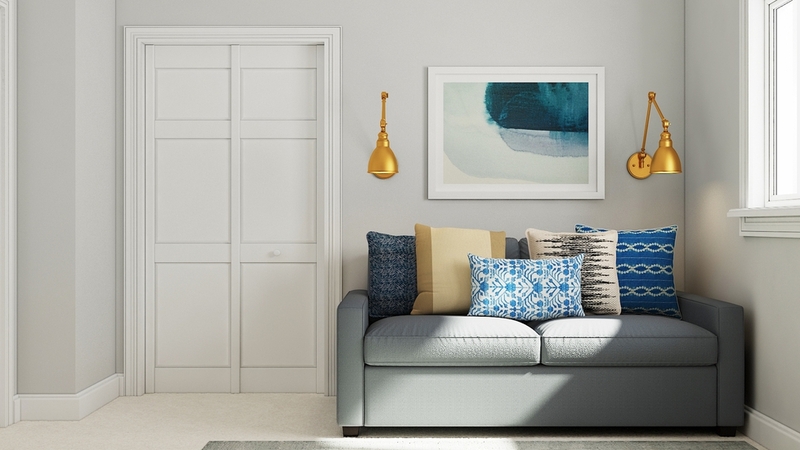 Bold, open and inviting, with touches of humor, this is the kind of space that great ideas originate from. For anyone who thinks that they can't have a home office because there isn't room, this is the inspiration: all you need is a little space - or in this case, an unused corner. 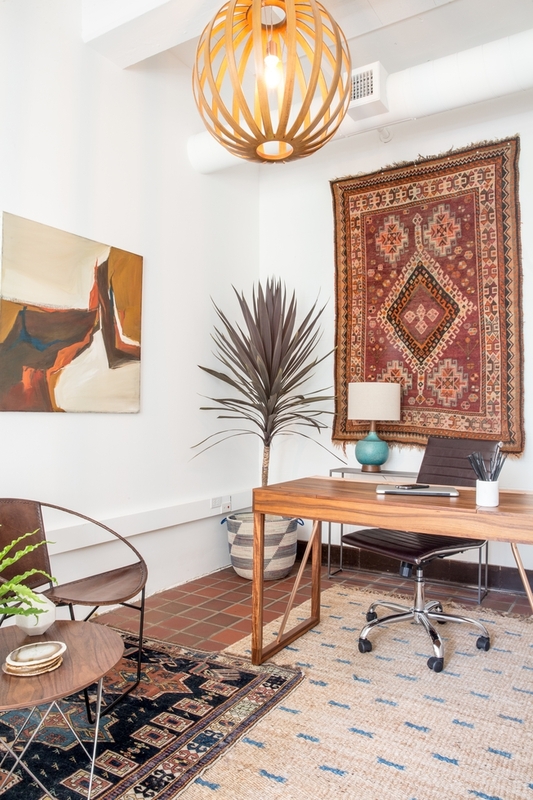 For her engineer client, Decorist Elite designer Ashley Redmond transformed a corner with just a small desk, a few pieces of art and a beautiful rug that was rolled up in storage - giving new meaning to the term "corner office."